From Israeli Citizens to BCRI - maintain your values, reinstate award for Angela Davis. | BOYCOTT! From Israeli Citizens to BCRI - maintain your values, reinstate award for Angela Davis. We are Israeli citizens opposed to our government’s policies of military occupation, apartheid, and ethnic cleansing against the indigenous Palestinian people . We call on BCRI to maintain their values as a civil rights institution, and reinstate and honor Angela Davis. We would also like to express our solidarity with the author and human rights activist. As we speak, since March of last year, Israel has been committing an ongoing massacre in the Gaza strip, of unarmed protesters who are calling for an end to the 11-year-long siege imposed on them by Israel. This siege renders them prisoners of the biggest open-air prison in the world . Just today, a 40 year old, unarmed woman has been shot in the head by an Israel sniper in Gaza . In the West Bank, Israel has been employing a brutal, belligerent military regime for decades, and expanding its colonial settlement project, which a recent report of The Office of the United Nations High Commissioner of Human Rights has described as “pervasive and devastating [violations of human rights], reaching every facet of Palestinian life” . Israel is an apartheid state, and within it, Palestinian citizens are subjected to over 65 laws denying them basic equality, civil, and human rights  and Israel has just passed the Nation-State Law that enshrines Jewish supremacy over Palestinian citizens . We understand that you chose to revoke Davis’ price as a result of her support for the Palestinian Boycott, Divestment and Sanction (BDS) movement. You might not be aware that the Palestinian call for a boycott of Israel is a non-violent strategy to secure freedom, justice and equality for the indigenous Palestinian people. The Nobel Prize for Peace-nominated BDS movement has been supported by renowned artists, scholars, musicians, athletes, and chefs worldwide, who chose to take a principled stand in support of the oppressed, in this case - the indigenous Palestinian people. Nobel Peace laureate Desmond Tutu compared Israel's treatment of the indigenous Palestinian people to the apartheid regime that discriminated against blacks in his native South Africa . An international boycott ended the apartheid regime in South Africa, and it would end the Apartheid regime in Israel. We believe that your reversal of the award Davis was supposed to receive is a virulent attack on human rights. Angela has always been a moral compass for human rights activists the world over, and is showing intersectional solidarity with the oppressed or those deprived of equal rights- be it women’s rights, Black people’s rights, indigenous peoples’ rights or Palestinians’ rights. Davis was an active member of the Black Panther party, the Student Nonviolent Coordinating Committee and the US communist party, and more. Israel’s lobby pressure and hasbara (propaganda) campaign against Davis is another way the Israeli regime whitewashes its severe human rights violations, and aims to silence everyone who speaks against it, in a rabid attack on free speech. As part of its propaganda campaign, the Israeli regime labels every criticism on Israel’s policies as “anti-Semitic.” Angela has been vocal about her opposition for anti-Semitism, and any sort of racism. She even mentioned this in her statement issued last Tuesday. We call on you to stand by what you claim to represent. We call on you to take a moral stand. 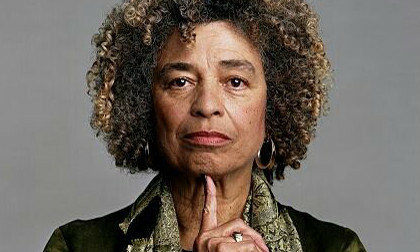 We call on you to honor Angela Davis, as she was supposed to be honored.